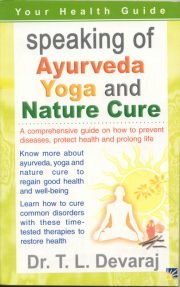 -An ancient science of medicine ayurveda has postulated some of the best principles for maintaining and preserving health. It lays down certain rules not only for healthy living but also for hygiene a key requisite for health.The characteristic pressures of the modern age are bound to lead to deviations from the safe routines of diet and habit and so to imbalances of health. To those suffering on account of these ayurveda provides relief. -Dr. T. L. Devaraj is a consultant physician of ayurveda in Bangalore. Formerly he was principal of government Ayurveda Medical College Bangalore. An author of more than 15 books on ayurveda he has been honoured with an international award for his outstanding contribution to ayurveda. Bibliographic Information: xi, 292p. charts, figs.